Some concern has been raised, so I would like to discuss this topic in relation to those of you that watched or heard about the Four Corners documentary on Supplements and Safety on Monday night. On Four Corners, they discussed the safety of herbal and nutritional supplements and the fact that sometimes when you buy a herbal or nutritional supplement the ingredient listing doesn’t in fact match what you are getting in the tablet. Cheap substitutes for the actual ingredient are used, instead of what is listed on the label. Obviously, substituting one herb for another may pose a safety risk for the consumer as well as the fact that you can lack results and it won’t be effective considering it is a totally different herb. Another issue raised was the incorrect listing of a particular strength of a herbal medicine or nutritional medicine on the label. A particular strength was listed in the ingredients, but when tested in a lab it actually contained a higher or much lower strength than what was suggested. So again, this poses as a health risk for the consumer along with lacking any effective results. It is important to remember that this documentary was based on American supplement regulation and NOT Australian supplement regulation. American supplements are regulated by the FDA (Food and Drug Administration). 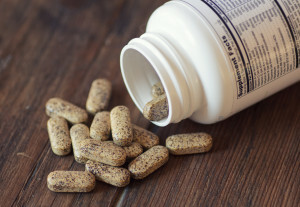 US supplements are regarded as foods and are regulated as such. They don’t have any formal registration procedures and systems in place to oversee quality control by manufacturers. They only keep an eye on manufacturers that they deem to be suspect and guilty of poor quality control of products. This means that there are other manufacturers that slip through the cracks and are not regulated for quality and safety. Here in Australia regulation of herbal and nutritional supplements concerning manufacturing, quality control and safety is much more stringent. Herbal and nutritional supplements are made following guidelines similar to that of pharmaceutical medicines and are made in approved facilities according to our regulatory body the TGA (Therapeutic Goods Administration). They are considered to be the tightest regulatory bodies in the world. Products are manufactured under Good Manufacturing Practice (GMP) which means that consumers have access to high quality products because of the guidelines that must be followed (evidence based, responsible practices, quality regulations and strict safety guidelines are enforced). You simply cannot compare quality control in Australia to US standards, it is so vastly different. So in light of this, I would advise not to buy nutritional and herbal medicine products from the US because of the reasons illustrated above. I have heard of individuals that purchase from websites such as iherb. This website sells products from the US, which to the consumer may seem like good value. Just remember, you do get what you pay for. These are products that are not approved by the TGA. So as discussed the same quality and safety regulation has not been followed. I don’t advise self prescribing in any case, it is dangerous and can have the potential to harm. Particularly because the consumer is not aware of potential herb / drug interactions. Also just because a product is natural doesn’t mean that it is deemed safe. Herbal and nutritional medicines can be unsafe if: used at an inappropriate dosage, taken at an inappropriate strength, taken longer than required, taken with particular pharmaceutical medications, if you take a poor quality product that is contaminated through manufacturing processes and if you are taking a product that actually contains a different herb or nutritional medicine different to what is listed on the label. Even though quality control and manufacturing guidelines are stringent in Australia, at times there is room for improvement needed with respect to over-the-counter herbal and nutritional products available at supermarkets, pharmacies and health food stores. It is important to remember that you do pay for what you get. There is a great difference from brand to brand in terms of quality and effectiveness. Which is why at my clinic, I only use ‘Practitioner Only’ products. These companies have adhered to the strict quality, safety and evidence based guidelines. The majority of these companies actually don’t rely on laboratory results provided by the company where the ingredient is sourced from. So they actually re-test the ingredients sourced in a laboratory, of their own accord to ensure quality, amount of the active constituent (ingredient contained in the herb or nutrient that leads to effective results), that the ingredient sent is what it says that it is and that the strength is correct. In the instance whereby the product is not deemed of a particular quality, they will not use the ingredient sourced and seek out other suppliers instead. In response to the discussion on the documentary about the lack of research illustrating the effectiveness of nutritional and herbal medicines, there are in fact studies available illustrating the efficacy or effectiveness of this. It is important when looking at a research article that you take note of who the study was funded by, because there is often vested interest. There are some research articles published that are actually flawed and results and conclusions are tampered with to try to prove the point that they are making. This is a topic that I am very passionate about and I just wish for the truth to be told so that you are aware of the practices that we have in Australia. I think it was a very biased documentary which didn’t provide a balanced approach. Furthermore, it was based in the US which is completely different to the regulations that we have in Australia. So it is not relevant to the Australian consumer, it has caused much unnecessary confusion and concern.